Say Goodbye to Raccoons, Squirrels, & Other Invasive Wildlife. From eastern Suffolk County through all the boroughs of NYC, up into Westchester and Northern New Jersey, wildlife run rampantly. 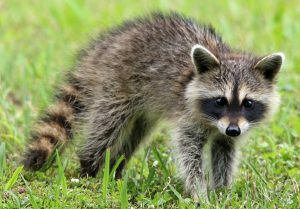 Animals like raccoons can be living outside your house for months without you noticing. Although that could seem harmless if you remain unbothered, it’s a big problem if they make their way into your home. 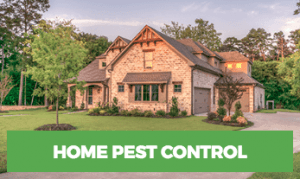 Home invasive wildlife comes in the forms of raccoons, squirrels, bats, opossums, snakes, moles, and even skunks. If these creatures find a way into your home, there’s a decent chance they won’t leave. You can be hearing them in the walls of your home or scurrying around the ceilings, or maybe they are just running around the common areas of the home. If this is the case, you should call us or another wildlife removal company right away. Waiting to take action does not help the cause. In some cases, the animal can die from starvation in the structure of your home. Trust us when we say, it is a lot easier to get them out alive than trying to find them dead. In other cases, if they’re hungry, they may chew on wires they stumble on. This too is not good for it could cause electrical problems, or worse, start a fire. These problems happen, there’s a good chance that there was nothing you could do to avoid it. They did, however, get inside from somewhere. Our wildlife removal experts will identify the probable entryways and try to lure the creature back out through it. We will also take other steps that are necessary if this process doesn’t work. Once we successfully remove the wildlife, we’ll seal up the areas that the animals could have come in through. Squirrels are small, furry animals that are cute to look at and an inspiration as they go about busily with their work of finding food and storing it away. But when they start entering your home in search of food, they can turn out to be quite a nuisance. They also breed prolifically and before you notice it, your home can be overrun with squirrels. 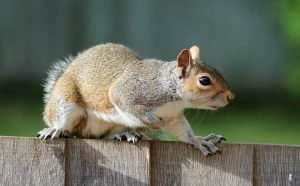 Moreover, the urine and feces that the squirrel’s discharge in the premises leaves an offensive odor apart from posing potential health threats. It is best to block their entry into the house by sealing all possible entry points like small gaps at the ground level, and vents at the roof level. Opossums and raccoons are good burrowers and climbers. If there’s an opening in the basement, you can expect these small creatures to sneak in! Let’s first see how to confirm the presence of troublesome animals on your premises. Strange and unusual sounds are the first indicator of animals like the raccoon and opossum. The sounds that these animals make while scampering around to set base in your attic or basement are dead giveaways of their presence. Since they are nocturnal by nature, you are more likely to hear their presence late in the evenings when all is quiet and settled. The second sign of their presence is the distinctively strong, unpleasant odor emanating from the urine and excrement that raccoons discharge. The damage they wreak on your premises, in the form of scratches or claw marks on the building, chimneys, shingles, and shutters. Raccoons generally invade our properties during the winter months in an effort to ward off the cold weather. Basically docile by nature, in threatening circumstances raccoons and possums can turn fierce and turn upon you in a bid to protect themselves. So it’s advisable to take professional help to disinfect and control the entry of these wild animals in your home and business establishments. They’ll usually fit chimney caps, lay our underground fencing, roof vent caps, and a host of other devices to prevent the raccoons or opossums from burrowing under, scaling over or dropping into your home. Batman and Dracula aside; bats are timid creatures; nor do they guzzle human blood for that matter. 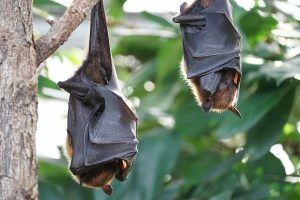 In fact, bats do us a favor by feeding on pests and insects in our surroundings. Although harmless in an apparent way and all the good they do for us, these flying mammals do pose a health threat to us because they are carriers of dangerous diseases like rabies etc. Bats usually inhabit the upper areas of buildings and come out during the night times to hunt for food. 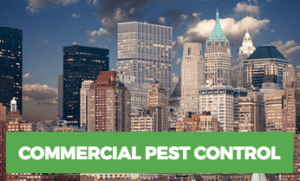 Professional pest control services will be able to help you ‘bat-proof’ your home by fixing protective meshes to chimney vents, windows etc. In case the bats have found entry into the house, they have to be individually trapped and disposed of in the wild. While physical contact with the furry creatures is not threatening as such, it is advisable to wear protective clothing while handling them.